You are here: Home / Blog / Cosmetic Dentistry / Ancient Dentistry discovery fascinates scientists! 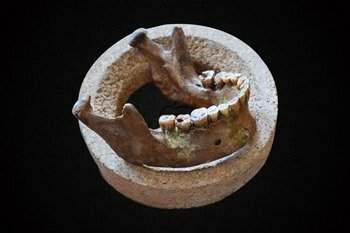 As it turns out, recent research has left anthropologists and dentists alike fascinated with the discovery of new evidence of dentistry being performed some 14,000 years ago! The discovery was done by a group of Italian scientists from the universities of Bologna and Ferrara. The information has been published in the journal of Scientific Reports. It all started with a skeleton dating from the Paleolithic, found on 1988 on the Venetian Dolomites. Experts realized there was a curious hole on the lower third molar and further analyzes confirmed that it was a carious cavity that had been intentionally treated. 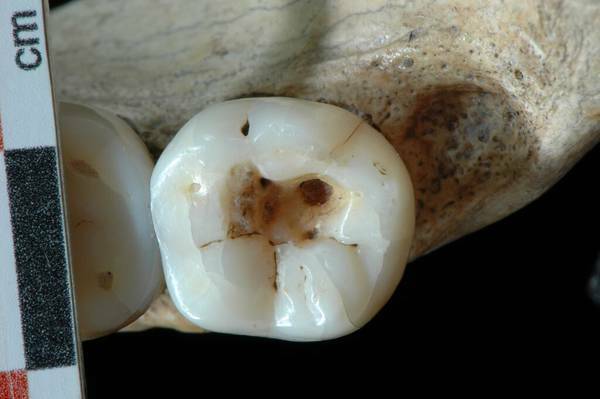 “What the results show – explains Stefano Benazzi of the University of Bologna, coordinator of the research group – is that the tooth from Villabruna represents the most ancient evidence of manual intervention of a caries. 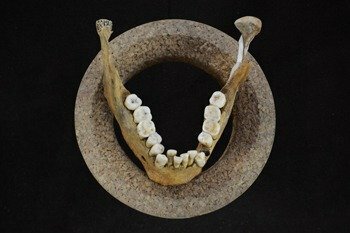 This finding also suggests that in the Upper Palaeolithic humans were aware of the harmful effects of caries infection and the need for action; through the help of a flint microlith (small, sharp stone tool), the diseased tissue was removed and the tooth cleaned in depth.” Until now, the oldest evidence of “paleodentistry” dated from around seven to nine thousand years ago. This pushes back the beginnings of dentistry almost 5,000 years! Researchers still don’t know if the Villabruna man was given any natural drugs/concoctions for the pain. Yikes! That would have been pretty harsh to go through. I’m just glad we are living in this era. We have certainly come a long way since then. Right now, our advanced tools are precise and with the help of x-rays and local anesthesia you don’t have to keep suffering for cavities and other dental afflictions. Don’t shy away from your dentists because of fear or shame. We are here to help you! Send us your x-rays and photos so we can give you a personal evaluation of your case at no extra charge. If you want to know more about our services call toll free from USA and Canada 1-800-565-1424, or if you are already on vacation in Cancun and want to meet us, you can call us for an appointment at the following local number (998) 1-40-51-25.